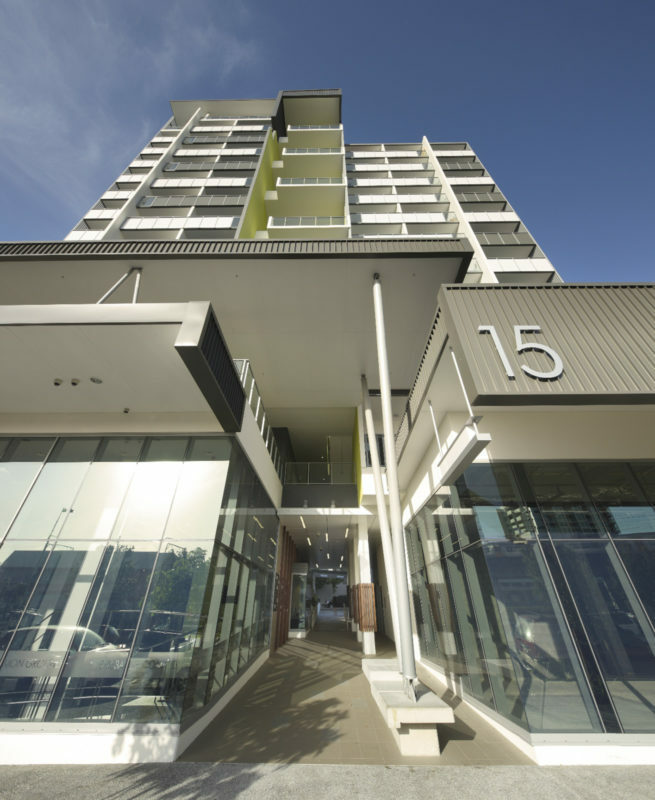 Brisbane Common Ground is a Queensland Government project which provides supportive housing (housing with on-site support services) for people who have experienced long-term homelessness or have financial pressures preventing them from securing alternative accommodation. 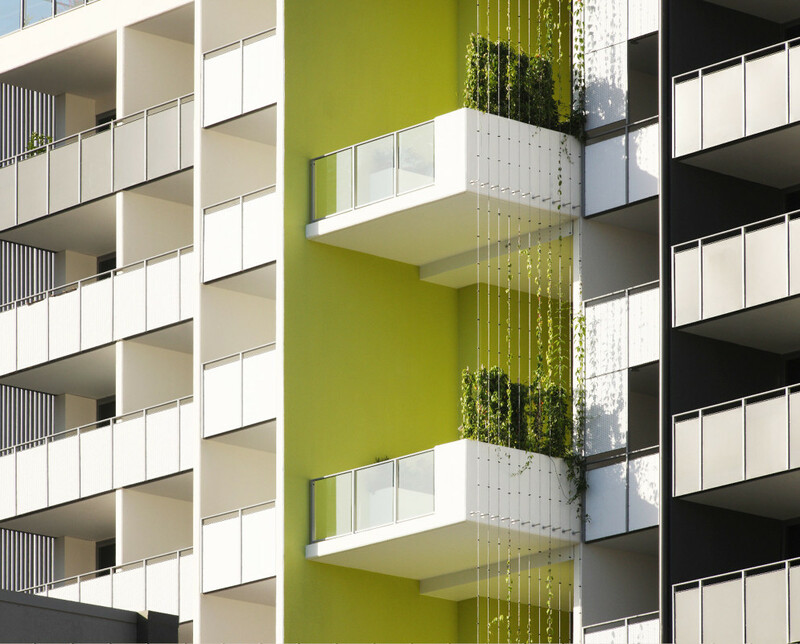 The premise of the project is to provide sophisticated, high density, inner city apartments at a standard equal to private sector housing in the same area. 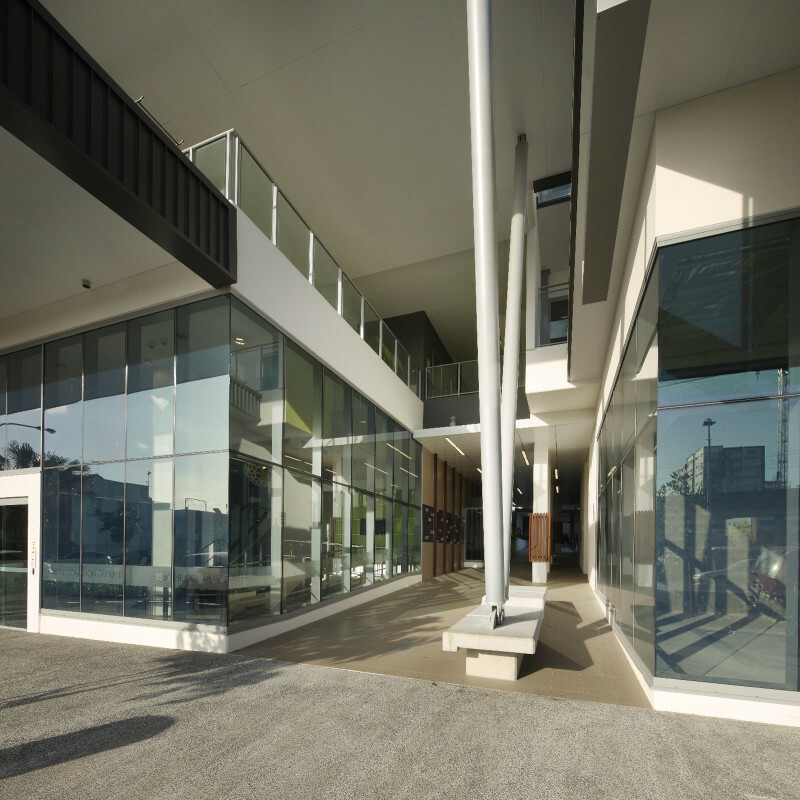 Designed on behalf of Grocon, the project’s chief aim is to foster connections between tenants and the surrounding community. 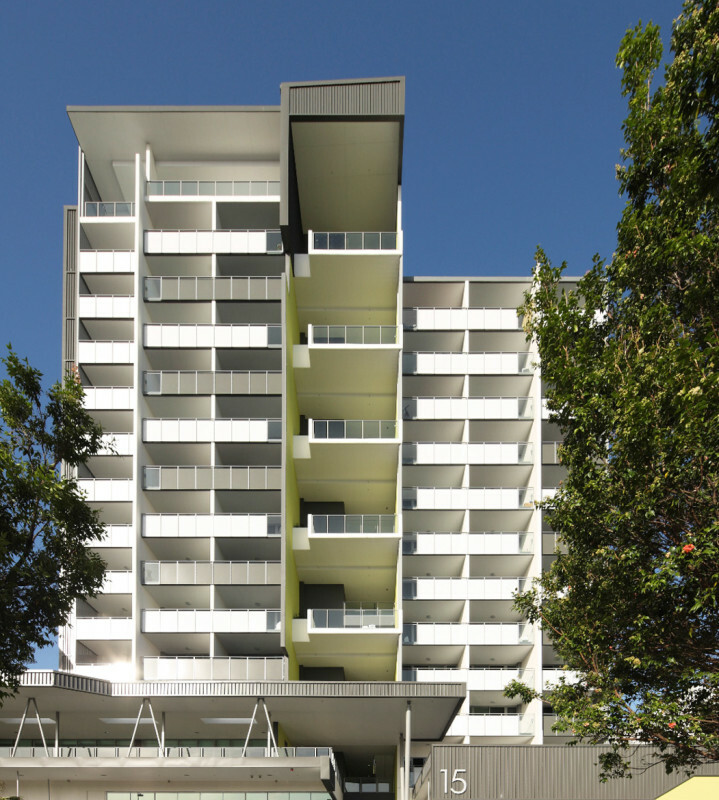 The building arranges 146 apartments over 14 levels each with private balconies in addition to an office space for the support provider and the tenancy manager. 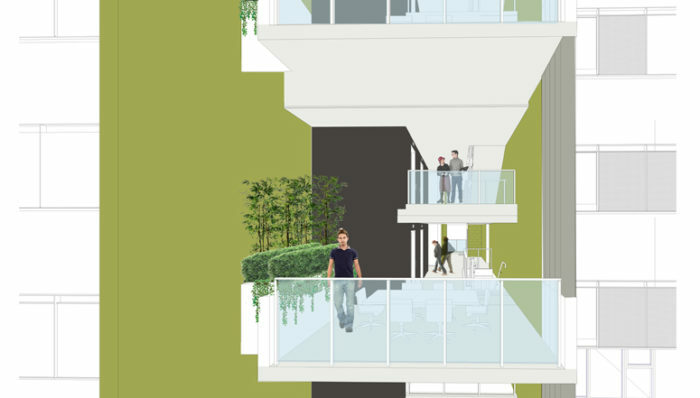 A sense of community is fostered through the creation of shared lobbies which pair two floors together and integrate vertical landscape with communal meeting spaces. 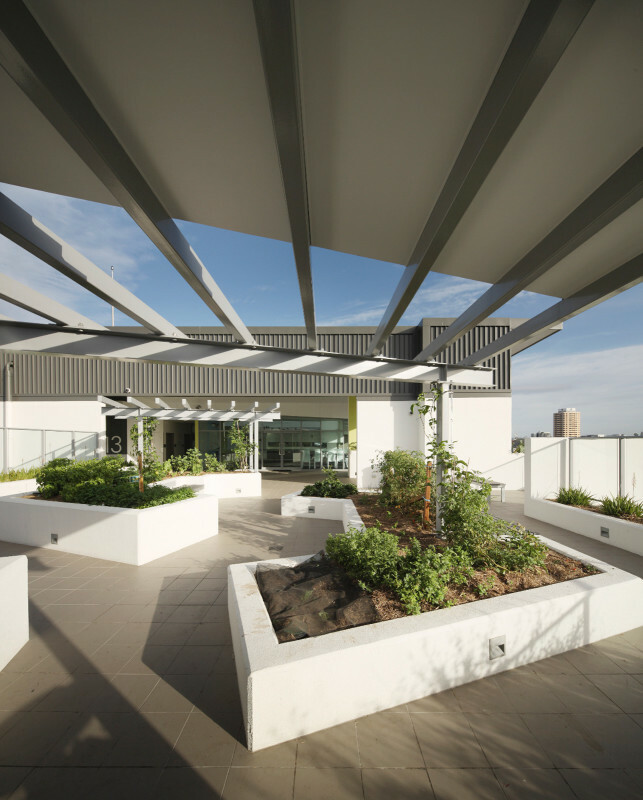 Shared facilities include a rooftop garden and function room, tenant lounge, computer room and library. 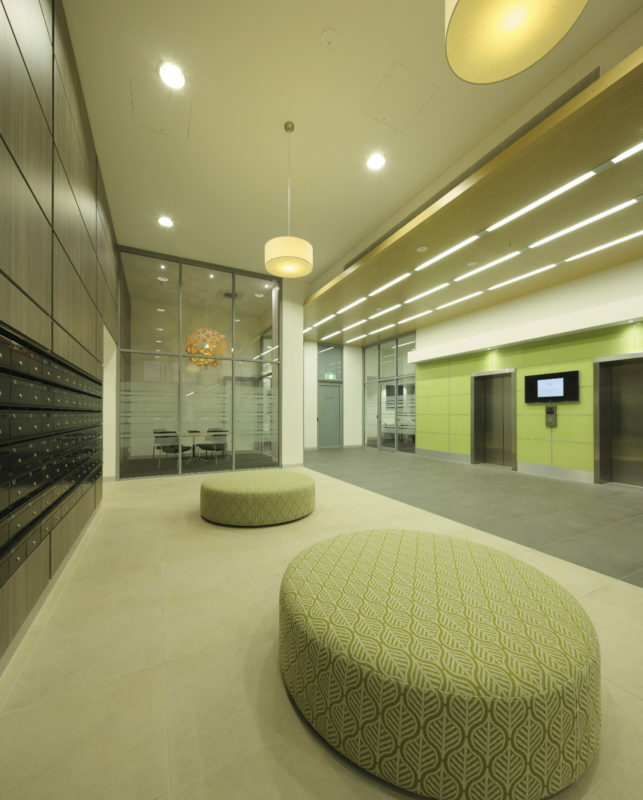 The building has been designed to meet a minimum benchmark of 6 Star BERS Energy Rating and support environmentally sustainable principles.